The rapid increase in internationalism and borderless higher education by public and for-profit universities is changing the face of the global higher education landscape. Today, universities have more opportunities for serving campus-based international students and extending their programs and research on the international stage. Students also have more choices than ever before in navigating their educational future and are becoming active consumers of global HE. Language, culture, and social norms are as critical as any educational strategies used to build and sustain international partnerships. An understanding, tolerance, and humility about the educational process in other countries is a necessity for building successful partnerships. Borderless higher education is highly complex and involves various risks for colleges and universities and the need to justify foreign ventures or adventures to key stakeholders at home. The “new global regionalism” will accelerate HE competition for students, and the global destination choices for students may drive more students to remain in their region than going to traditional destinations such as the US, UK, and Australia. Universities will function more like businesses, and their foreign partnerships and campus international recruitment will be based on leveraging profitable revenues to supplement their composite educational enterprise. This will be accentuated by reduced government funding and the need to temper continuous tuition and fee increases. Quality assurance agencies will exert greater pressure on universities to maintain accountability, program standards, and alignment with their core mission. University chief executives will need to navigate a range of complex issues before leading their universities into unchartered international waters. Indeed, some universities have no business in the business of borderless higher education. 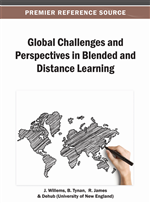 This chapter explores borderless higher education. Strategically, there are very real benefits from institutional mobility (Borderless HE). Establishing a campus in another part of the world provides access to a new talent pool, creates interesting staff and student mobility opportunities, enables new and different research initiatives and enhances global reputation. However, institutional mobility presents real challenges, both strategic and operational; there is much rhetoric around the benefits of overseas ventures in relation to diversifying income streams, but the reality is that projects are expensive and depend upon genuine cross-institutional support and a willingness to commit significant resource, both financial and human. Operationally, success depends upon the ability to mobilize organizational systems, processes, policies and people to operate in a different and unfamiliar environment. Strategically, the challenge is to ensure that what is being offered—in terms of both teaching and research—genuinely meets an identified market need, builds appropriately on institutional strengths and aligns with longer-term educational priorities (Ennew, 2011, p. 14). During the past decade the international higher education landscape has changed dramatically. We have seen increased mobility among students and more universities engaged in cross-border delivery of higher education programs and research through branch campuses, open and distance learning and blended approaches to educational delivery (Verbik & Merkley, 2006). We have seen new providers, public and private, enter the global higher education arena (OECD, 2010), including the rapid proliferation of global branch campuses (Becker, 2009). Borderless higher education has increasingly become a competitive feature of the international landscape. In some instances, home country students may forgo formal study abroad programs if foreign providers are offering flexible, culturally sensitive, academic programs in their home language and/or English via distance technologies or a hybrid of distance and face-to-face delivery modalities (Olcott, 2008a). Conversely, distance education and cross-border delivery inherently face some major pedagogical, logistical, language, cultural and socio-economic challenges in the delivery of these programs. As Professor Chris Ennew from the University of Nottingham accentuates in the opening cited quote of this chapter, the opportunities and challenges of going global are complex and uncertain. It truly is a brave new world in the international higher education arena. Driving this global transformation are diverse and complex forces including economic competition, advances in technology, English as the global language of commerce, employee mobility, workforce development, multiculturalism, emerging markets, and global migration (McBurnie & Ziguras, 2007). University leaders are redefining the international dimensions of their institutions in response to globalization. Globalization may be viewed as the worldwide flow of people, technology, economy, ideas, knowledge and culture. Internationalization may be viewed as part of globalization by its focus on relations between nations, people, and culture (Knight, 2005). Internationalization, viewed as a major response to globalization, evolves in colleges and universities in diverse ways and for varying institutional reasons. Knight also found that internationalization at the national, sector and institutional levels is defined as the process of integrating an international, intercultural, or global dimension into the purpose, functions and/or delivery of postsecondary education. The increasing development of campus-based internationalization and cross-border higher education is, to a large extent, a direct response by universities to building an economic competitive edge that is driving the national agendas of many countries (McBurnie & Ziguras, 2007; OECD, 2010). For many nations, the short-term strategy of tapping into the expertise, research, and knowledge base of highly developed educational systems (e.g., United States, United Kingdom, Australia, Germany, France, etc.) is preferable to expending exponential resources domestically to gear up. The long-term strategy is for these nations, particularly in East Asia and the Gulf States, to develop a high quality, sustainable higher education system domestically (Mroz, 2009; Olcott, 2009).